Liverpool travel to the Olympic Stadium to face West Ham United on Saturday evening, and the hosts have some real selection headaches. It’s been a torrid season for the Hammers for the most part thus far, as they languish in 16th place in the Premier League after 10 games with just two wins to their name and the third worst defensive record in the league having conceded 19 goals in those outings. 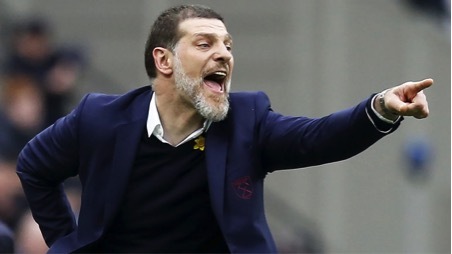 Slaven Bilic will be even more concerned this weekend as he’s struggling with injuries to key individuals as they look to try and contain Liverpool and exploit their weaknesses to pick up an important result. However, they’ll have to do it without defender Jose Fonte, who took to Instagram on Friday evening to confirm that he will be out for the remainder of 2017, as seen in the post below. While he’s urged his teammates to secure a positive result for him, he isn’t the only player forced to the sidelines as Football.London have produced a more detailed list of absentees for the visit of Liverpool. Sam Byram, Michael Antonio, Fonte, Aaron Cresswell, Winston Reid and James Collins are all either fitness doubts or definitely ruled out on Saturday, while Pablo Zabaleta will play no part as he’s suspended. In turn, one of the worst defences in the top flight is about to be left short of some of their first choice defenders against a Liverpool side with plenty of attacking quality, and so it does look concerning from a West Ham perspective. For Liverpool though, it will be an opportunity to maintain their current momentum having won three of their last four games, scoring a total of 14 goals in that period.